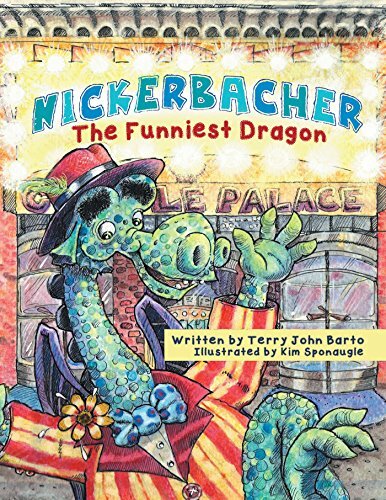 Today I’m sharing a fantastic children’s book called Nickerbacher written by Terry John Barto and Illustrated by Kim Sponaugle. Sylvia and I really enjoyed reading this story and I’m sure you will too. 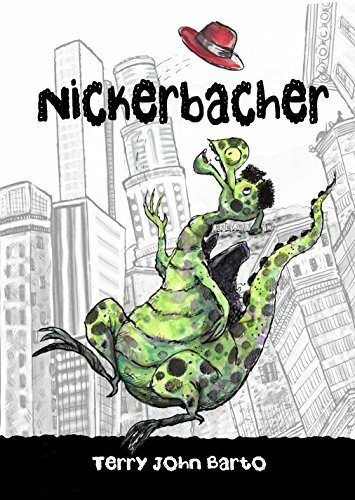 Nickerbacher is a fantastic kids book about a Dragon who’s dream is to become a Comedian and audition for the Late Night show in La La Land. The story is easy to read and filled with fantastic illustrations of Nickerbacher and Princess Gwendolyn his loyal friend who helps him on his quest to follow his dreams. 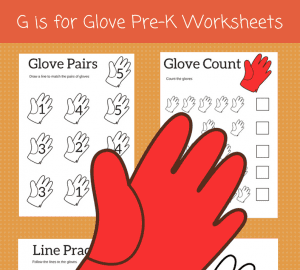 The story is divided into 6 easy to read chapters. I think the book is fun and a great story, it teaches a great moral to follow your dreams and become who you want to rather than conforming to what your told you should be. Nickerbacher, in my opinion would be a great story for both boys and girls. The characters are fun and the comedian in Nichabacher shines through in the text and have a few great jokes and interesting new words. The book reminds me a little of Roald Dahl as the author has created a fair few “new words” which are fun to read and keep the story interesting and original. I really enjoyed reading this lovely book with my daughter. It’s different to the books we would usually go for but was just as fun and an enjoyable read. I love thatNickerbacher is a modern day fairy tale and it mixes old-fashioned character names with modern day living such as the dream to go on the “Late night show”. I think the modern twist on this story makes it a real winner for me and Sylvia and makes the book really different and unique. It is certainly a fun read and one I would recommend for children around 5 to 10. To sum up Nickerbacher is a fantastic fairy tale with a modern day twist. I think it would be a good book for 9 Year olds. That sounds great, I really like the look of the illustration style. Also really like illustrations they are really cute. Yes. 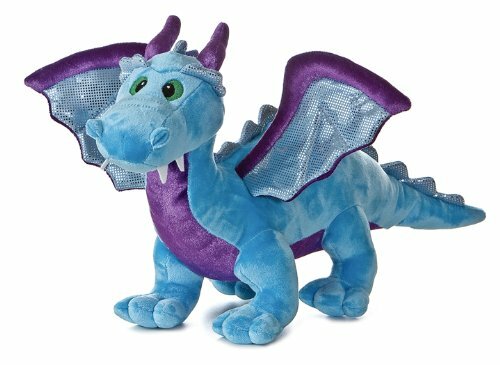 It is for an older child audience! Looks a fun read. I like the style of the illustrations. Thanks Suz. The illustrations are fab! It is a great read and we enjoyed this. Sounds good, I’m sure my 7 year old would really like this. Need to make room on his book shelves first! I think it’s a great book for 7 year olds.